With the US, Japan, India and Australia successively releasing their own "Indo-Pacific strategy," the geopolitical competition in the Indian Ocean has gained growing attention and there has been much discussion about the position and role of the Indian Ocean in the geopolitical wrestling. It was assumed that following the "Pacific Century," the "Indian Ocean Century" will evolve in the second half of the 21st century, and the Indian Ocean will play a more important role in international politics. The assumption is probably one of the backgrounds for the emergence of various versions of the Indo-Pacific strategy. However, while the Indian Ocean is indeed important, it is still questionable as to whether its importance will continue to rise and gain the same significance as the status of the Pacific in the future. The main explanation for the strategic importance of the Indian Ocean is that it is located between Europe and Asia, the two most active "economic poles" of Eurasia, and is the main transportation corridor for commodities and resources in the world. East Asia's China, Japan, South Korea and ASEAN countries all rely on this transportation route to get their oil and overseas goods. However, this also means that the growing importance of the Indian Ocean transportation corridor is due to the economic rise of the Pacific Rim countries. Even as a transportation corridor, the Indian Ocean may not necessarily see a continuous increase in its importance, in the future. The first uncertainty comes from the opening of the Arctic route and the possibility of its commercialization. Due to global warming and the melting Arctic glaciers, there has emerged another shipping route that connects the Pacific and Atlantic oceans. Once the new route gets fully commercialized, it will directly challenge the world's maritime transportation pattern, and the importance of the Indian Ocean will undoubtedly decline. The second uncertainty is the increased number of freight trains on the China-Europe rail network, under the Belt and Road initiative. According to the CHINA RAILWAY Express (CR Express) development plan for 2016-20, there will be around 5,000 freight trains running between China and Europe annually by 2020, which will again, inevitably, lead to the reduction in logistics on the Indian Ocean corridor. Moreover, the strategic importance of the Indian Ocean has long been built on the foundation of oil resources in the Middle East. The question is: will we continue to live in the petroleum age? Will new energy replace oil? In recent years, changes have been taking place in the world's energy production and consumption structure. With the development of shale gas, the US' dependence on Middle East oil has dropped significantly, accompanied by the declining importance of the Middle East as the world's major oil producer, which will in turn affect the traffic volume of the Indian Ocean shipping route. Whether the "Indian Ocean Century" can materialize actually depends on whether countries of the Indian Ocean can achieve economic rise and regional integration. The "Pacific Century" relies on the rise of a group of economies along the Pacific coast and their interdependence instead of the successful rise of one certain country in the region. At present, there is no such obvious sign along the coast of the Indian Ocean. Even if India is expected to grow into the world's third largest economy, it is still unable to support the so-called "Indian Ocean Century" alone. According to the assessment of the World Bank report, South Asia is one of the least integrated regions. 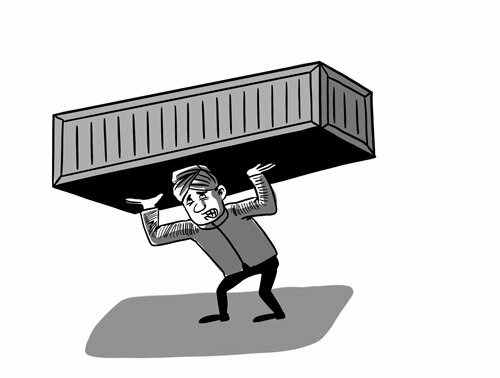 The intra-regional trade among South Asian countries is only about 5 percent of the region's total trade, compared to 35 percent in East Asia. The implication behind the Indian Ocean talk nowadays is the intensified geopolitical competition in the region, which, fundamentally, is a result of the vulnerability of navigation security in the Indian Ocean. There are seven critical "strategic maritime chokepoints" around the Indian Ocean, any of which is strategically hard to be taken over by force. Moreover, the vast seas of the Indian Ocean, numerous small and medium-sized countries, weak economic integration, and lack of regional economic growth, have all provided rich soil for intensifying geopolitical contest. When we look at the situation of the Indian Ocean, we need to stop thinking "whether the Indian Ocean is really important, or not." If returning to the essence of the question, we will find that some people are trying to hype up the importance of the Indian Ocean mainly because of the intensified geopolitical competition among some big countries within and outside of the region. After all, the Indian Ocean is just one of the reasons for the geopolitical wrestling of major powers.